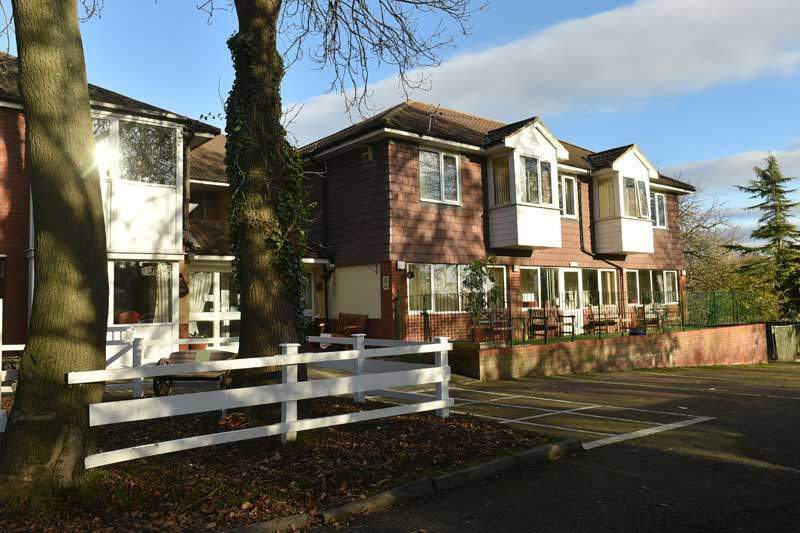 Based in Foggy Furze, Hartlepool in Cleveland Queens Meadow is a purpose built Care Home which offers a friendly and modern atmosphere for residents. 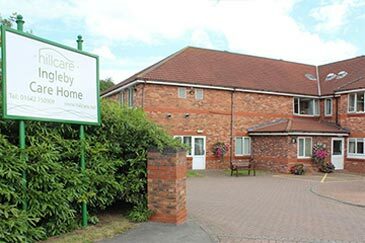 Within walking distance of local amenities, in the town centre and in a residential location in the Teesside region, Queens Meadow Residential Care Home has everything you need close by. Access is easily available with the bus route and A689 both close at hand. If that’s not enough, we are located within walking distance to a local park as well as a pub. 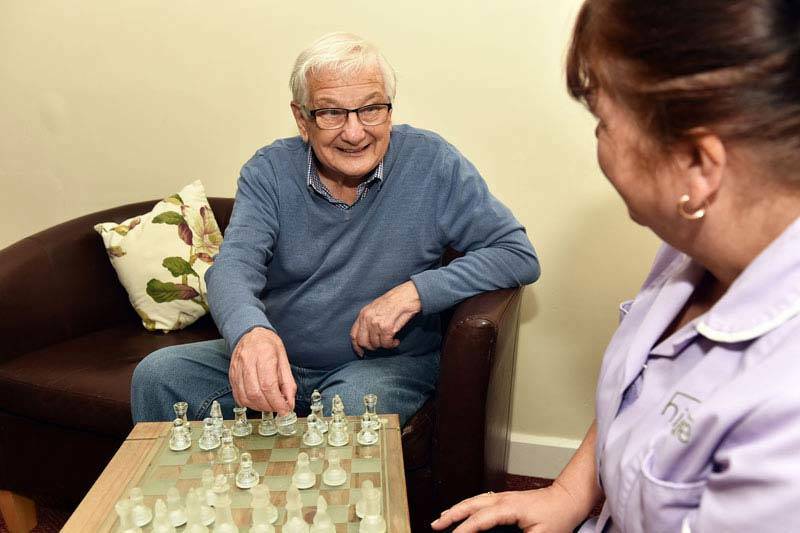 We believe that by offering an individualised care plan, which our residents and their families have input to, we can then give the best possible care to each of the residents in our care. By carrying out initial assessment before any of our residents move in, we can be sure to have everything in hand to cater for their specific needs. 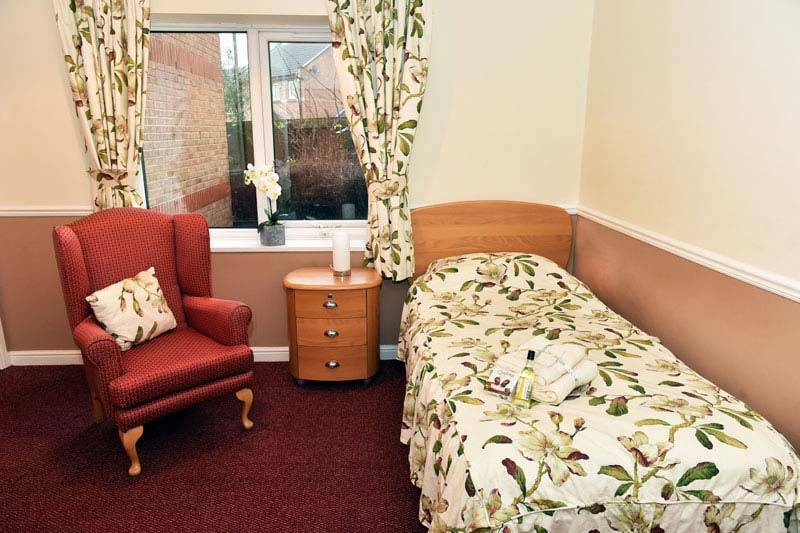 All of the bedrooms at Queens Meadow Residential Care Home are single occupancy, with en-suite facilities and nurse call features. 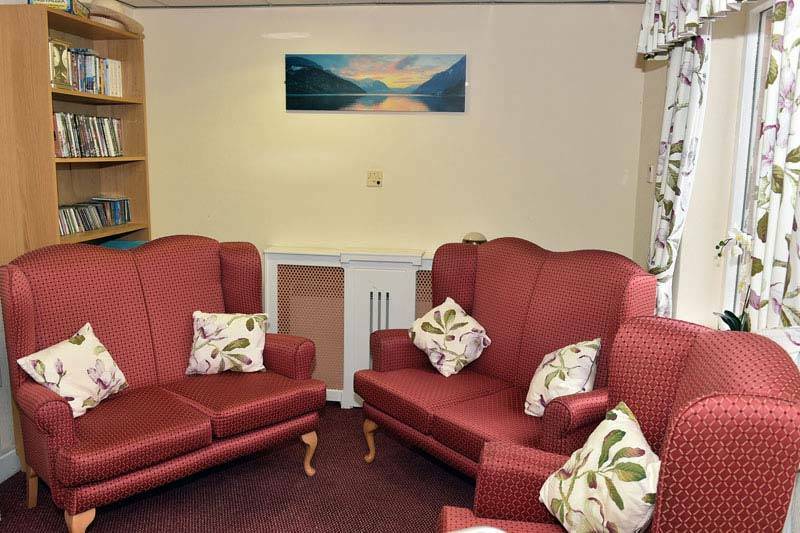 Our bedrooms also offer TV aerial sockets in all rooms, internet access and wheelchair accessibility. At Queens Meadow we like to encourage residents to bring their own furniture and we even offer residents to bring their pets by arrangement. 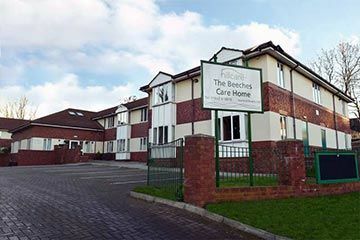 We have a 26 bedroomed Residential Care Unit as well as a 33 bedroomed Dementia Residential Care Unit meaning that we can offer a truly unique and individualised package for all our residents. As well as having numerous bedrooms, Queens Meadow has its own bar! 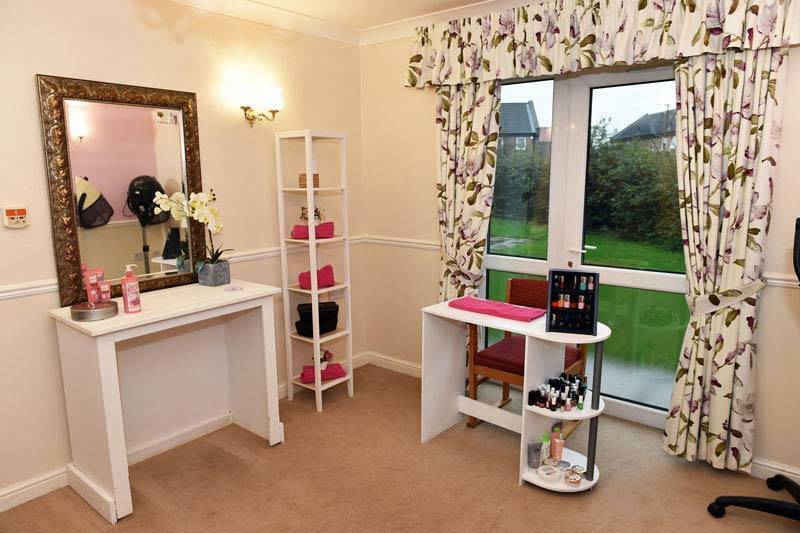 As well as a pamper room and a vintage tea room for residents and family members alike to enjoy. 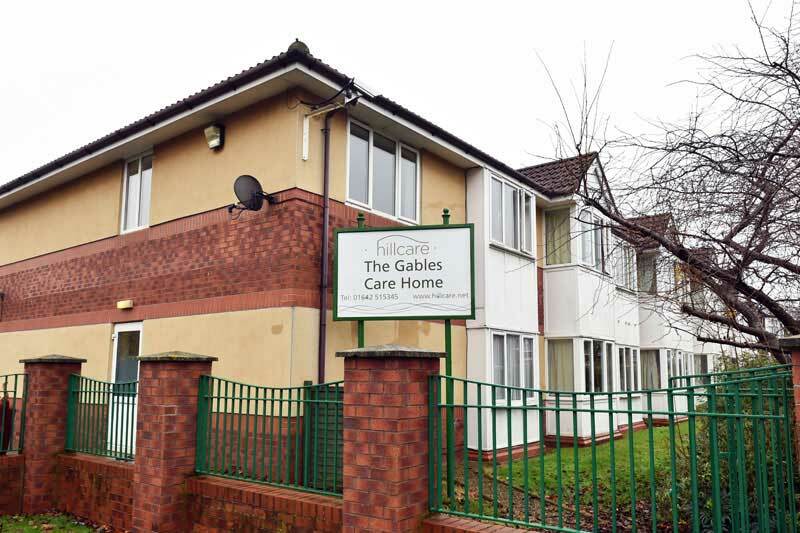 Our residential care home has 2 floors and lift accessibility for anyone who may wish to take advantage of that. As well as a kitchenette for residents and visitors to use, we also have large parking facilities for visitors. Residents can choose between five separate lounges to relax and socialise in, while meal times are catered for in our two dining rooms where we encourage our residents to interact and enjoy spending time together. 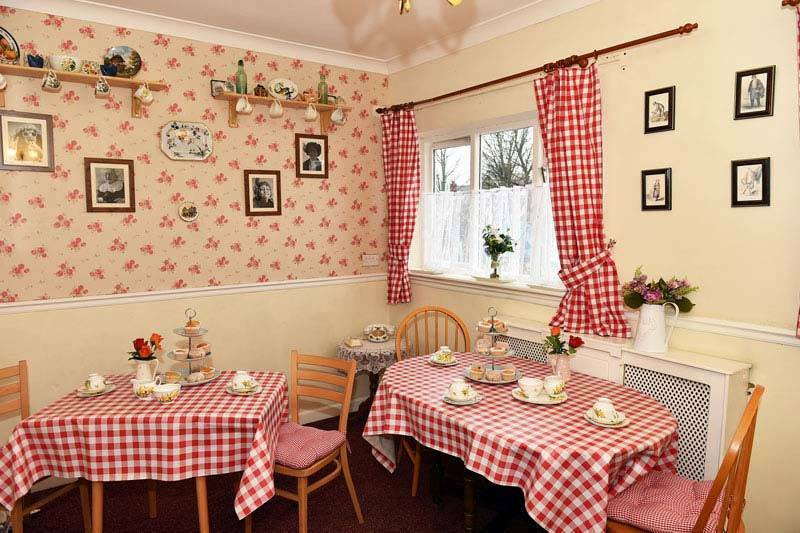 Here at Queens Meadow Dementia care home in Co Durham, we believe it’s important to have protected meal times for our residents and we enjoy including residents’ family and friends in meal times. Queens Meadow caters for any celebrations from birthdays to anniversaries and everything in between as well as appropriately catering for any dietary and cultural requirements. In Queens Meadow, snacks, fresh fruit and refreshment are available 24 hours a day and we also have special/themed meal nights for our residents. We understand and respect our residents’ privacy and also offer all residents the option of having their meals in their room if they wish to do so. 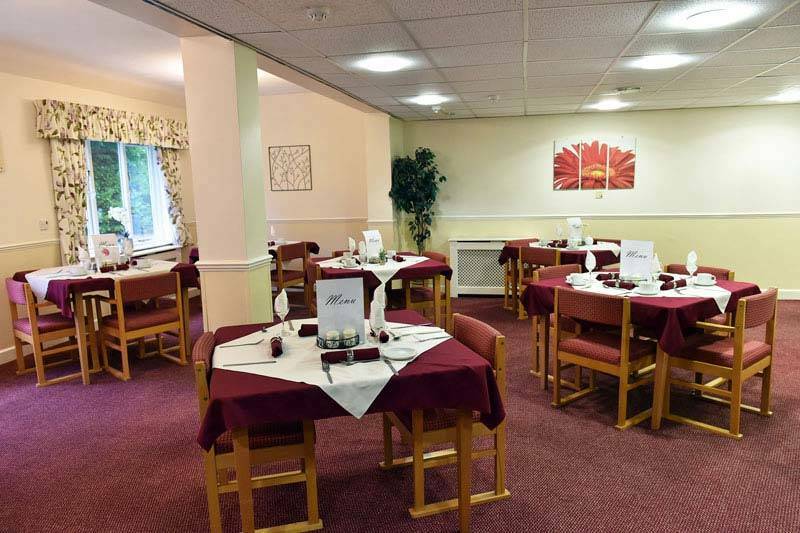 To try and make sure there’s always something that pleases everyone on the menu, we have a choice of 2 meal options at lunch and dinner for our residents. Queens Meadow Residential Care Home Hartlepool in County Durham also boasts beautiful grounds for residents and visitors to enjoy, including a secure patio area that is perfect for those warm summer days. Our large, lawned, enclosed courtyard garden includes comfortable seating areas, wheel chair accessibility, raised flowerbeds and even a sensory garden area. A portion of Queens Meadow’s garden is occupied by some pet Hens as a part of the Hen Power Project which we actively participate in.